L'Oreal Paris introduces a 2-step glow routine! A skin enhancing combo that purifies clogged pores, mattifies, clarifies and hydrates skin to reveal polished, smooth complexion. A super charged pure clay face mask for clogged pores with the power of eucalyptus to purify and mattify your skin in just 10 minutes! Purify and mattify pure clay mask addresses your shiny and oily skin to reveal clarified, mattified and refreshed complexion. Skin appears purified and healthier instantly. Pores seem tightened and less visible, without over-drying. Hydra fresh aqua balm with French Grape Polyphenols contains powerful antioxidant to fight against dryness, dullness and fragility, keeping skin hydrated, resilient and radiant.The powerful antioxidants helps to neutralize free radicals caused by daily aggressions while the dual moisturizing effect gives softer, smoother skin.Naturally rich in minerals, helps to stimulate cell's vitality to strengthen skin barrier for an optimal hydration level. 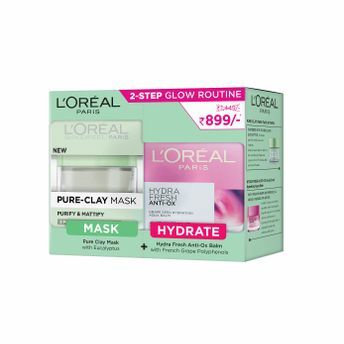 Explore the entire range of Masks & Peels available on Nykaa. 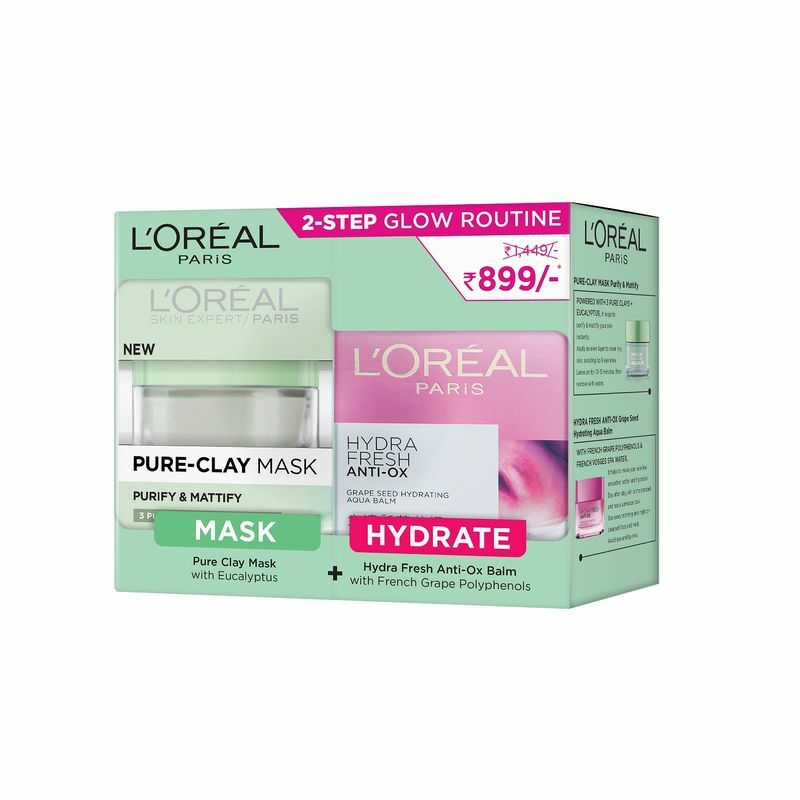 Shop more L'Oreal Paris products here.You can browse through the complete world of L'Oreal Paris Masks & Peels .